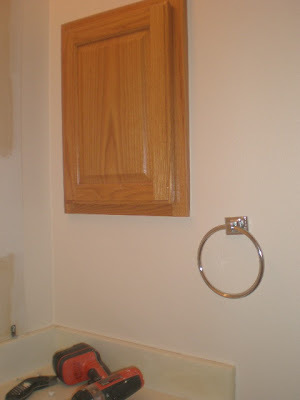 Well, after this weekend, I took some pictures of some of the "almost" finish projects. 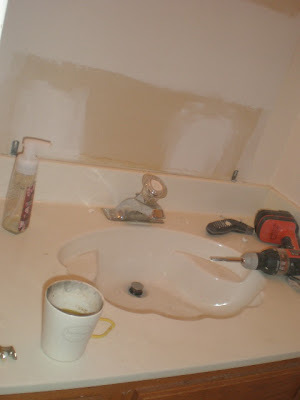 We didn't spend a lot of money and just decided to update Anh Vinh's bathrooms. 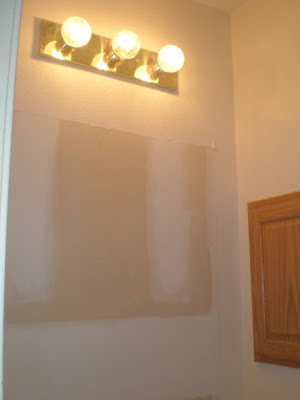 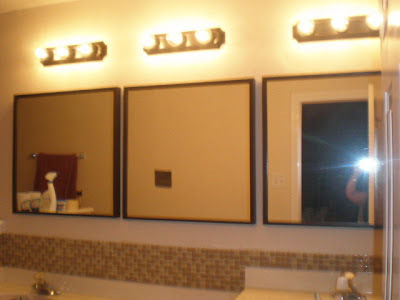 I didn't take any before pictures of his master bathroom, but you can get the general idea. 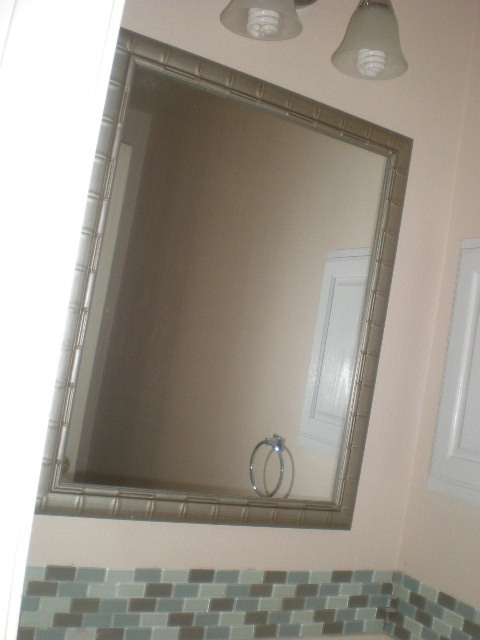 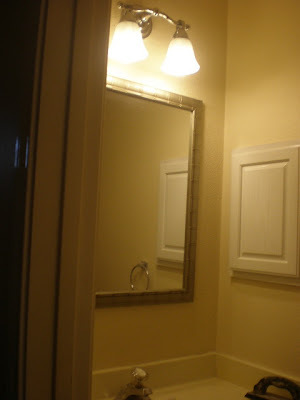 No more wall paper, fresh coat of paint, new light fixtures & mirrors. It was a project that we all participated in.